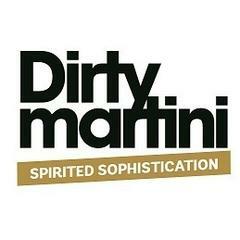 Dirty Martini is an industry-leading cocktail brand with fantastic training and development program, a competitive pay structure and plenty of opportunities to progress. We are a thriving company that is shaking-up the market with ambitious growth plans, making this a very exciting time to join us.<br>The role of a Bar Support:<br><br>As a Bar Support, you will play a vital part in our success by supporting the bartenders and floor team in delivering an exceptional and seamless service with pride and passion.<br><br>By joining as a Bar Support, you will have a chance to work alongside some of the top upcoming industry professionals, broaden your skills and rise to the challenge to reach your full potential as part of the Dirty Martini family.<br><br>Bar Support benefits: <br><br>•	Competitive rate of pay<br>•	High street discounts<br>•	Staff Meal Program<br>•	50% family discount across all venues in the group, including all Dirty Martini locations and both of our restaurants in Covent <br> Garden<br>•	Birthday present and work anniversary vouchers<br>•	Regular in-house competitions with incentives<br>•	Extensive training and development with a strong focus on internal promotion <br>•	Expendable holiday allowance: 28 days holiday per year. Following 3 years’ continuous service your annual holiday entitlement <br>will increase by 1 day for every year of service. Up to an annual entitlement of 36 days <br>•	Pension Scheme <br><br>Working as Bar Support can not only be exhilarating but it can give you a solid foundation of becoming a skilled bartender. Become a Bar Support at Dirty Martini!